Connecticut officials plan to increase taxes on businesses in 2009 because the state's unemployment fund is paying out more money to jobless workers than it is taking in. The state Department of Labor anticipates that it will assess employers an extra 1.4 percent in unemployment taxes next year. Officials say they need to keep the unemployment fund solvent. Connecticut's unemployment rate is the highest it's been in 15 years at 6.6 percent. At the same time, state unemployment offices are handling about 80,000 claims a week, a 50 percent increase over last year. The unemployment fund is expected to pay out $690 million and collect $540 million in revenue this fiscal year, said George Wentworth, the Labor Department's director of program policy. But since the unemployment trust fund has about $465 million in it, officials say there are no immediate concerns about running out of money to pay benefits. The state, however, may have to take out some short-term loans to shore up the fund if current economic trends continue, officials say. "Right now, it looks like we are OK for the immediate future," Wentworth said. The unemployment fund has run out of money before, the last time in the early 1990s when the federal government had to bail out the state. The federal government has an unemployment trust fund from which states can borrow, and they can repay the loans within a year without being charged interest. 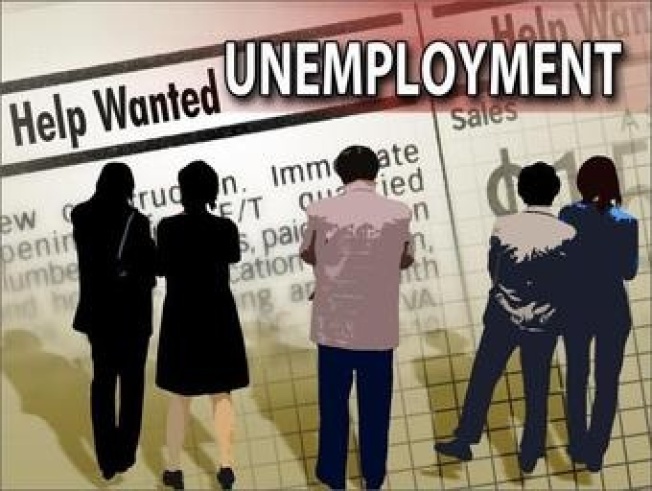 Michigan and Indiana have already asked for federal loans so that they can continue to pay unemployment benefits, and the National Association of State Workforce Agencies says 30 other states are at risk of running out of money to pay for unemployment benefits over the next few months. The Connecticut Business & Industry Association is keeping tabs on the state's unemployment fund, said Joseph Brennan, the group's senior vice president for public policy. "It is always a concern when you are going through an economic downturn," Brennan said. The CBIA has already warned its 10,000 members to be prepared for higher unemployment taxes in 2009. The state Labor Department assesses unemployment taxes based on the amount of claims paid to former employees. The rate ranges from .5 percent to 5.4 percent of the first $15,000 in wages that a company pays each worker. The typical company in Connecticut paid 1.7 percent on the first $15,000 of a worker's wages in 2008. The state can impose an additional tax to keep the unemployment fund solvent. Wentworth said state Labor Commissioner Patricia Mayfield is preparing to impose the maximum 1.4 percent solvency tax on employers in 2009. Connecticut's maximum unemployment benefit is $519 a week.